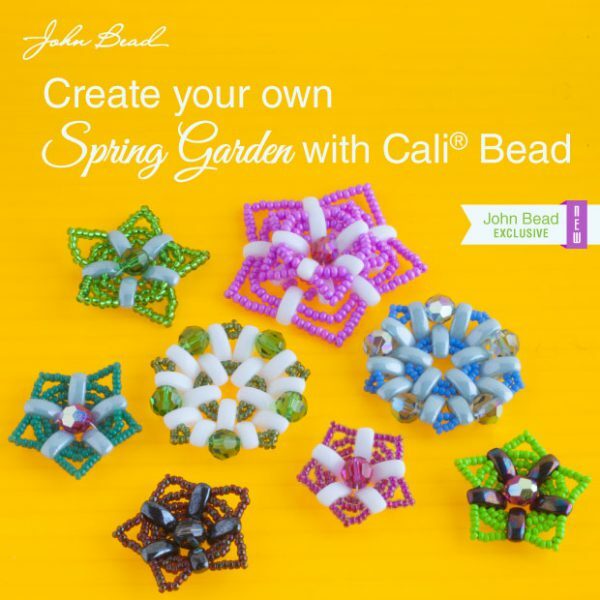 The Cali Bead Spring Garden! The flowers in this banner were created by Lena Gillespie. Lena is one of the first designers to be given the Cali bead to experiment with. Clearly, she was able to incorporate the bead into many new unique designs. 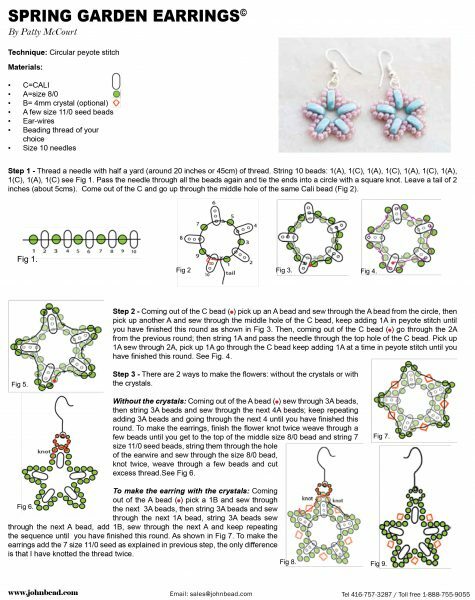 If you are feeling inspired by our spring garden, we are pleased to let you know we have attached a fantastic floral earring project PDF for you to try yourself. It should send you down your own flower making garden path! Next Next post: The Next Great Bead!